A home that epitomizes "Colorado Culture"! I present to you this Hallmark Custom Home in the desirable Escavera neighborhood. 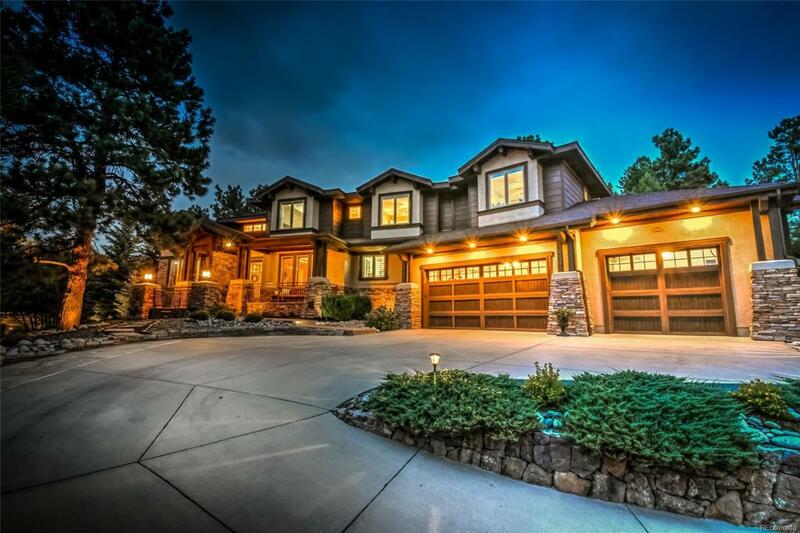 A two-story mountain-contemporary masterpiece, tucked in amongst towering Aspens & Ponderosa pines is truly a serene mountain oasis w/ the convenience of shopping, dinning, schools, and parks literally minutes away! Not one stone left unturned inside or out - this home has nothing left to upgrade. The backyard itself is worth it all - stunning outdoor patios & decks coupled w/ a gorgeous mutli-tiered waterfall...a perfect yard to enjoy our beautiful Colorado evenings! The first thing you'll notice upon entering the home, is the level of craftsmanship! Custom work throughout from the shelvings to window coverings, butler pantries, copper sinks, cabinets, backsplashes, trayed ceilings, tile-work, stone-work & on and on! EVERYTHING was touched w/ an absolute unmatched level of care. Bring your pickiest buyers as they will NOT be disappointed! Curb appeal for DAYS!